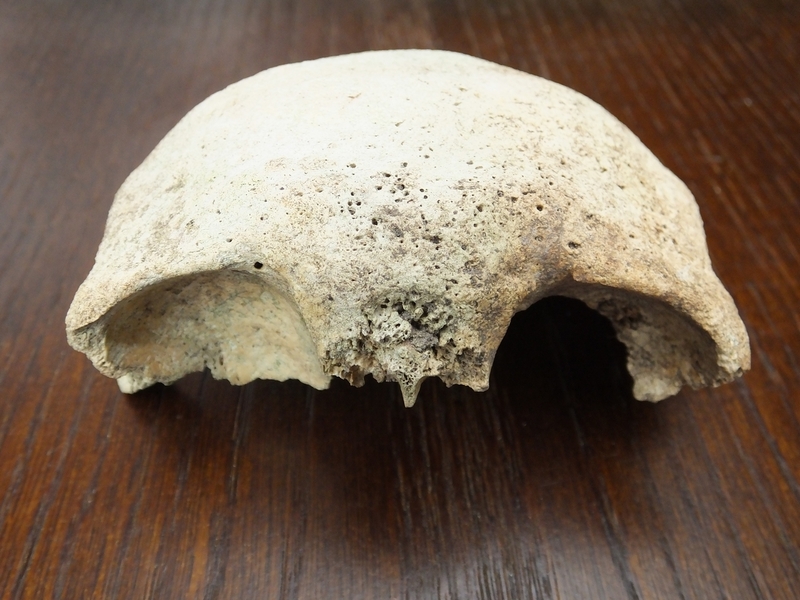 One of the most fascinating finds has been the frontal bone of a human skull. 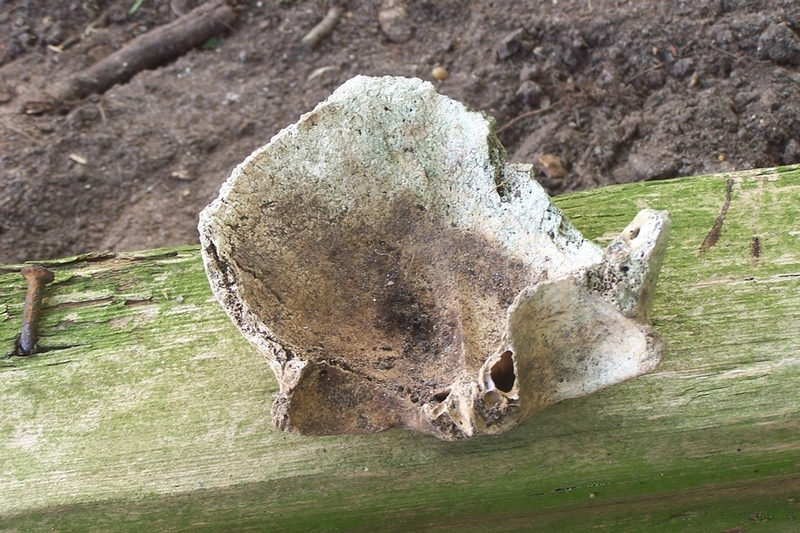 It has always been suggested that human bones from Germany were used at the mill but there was speculation about whether this was really true. 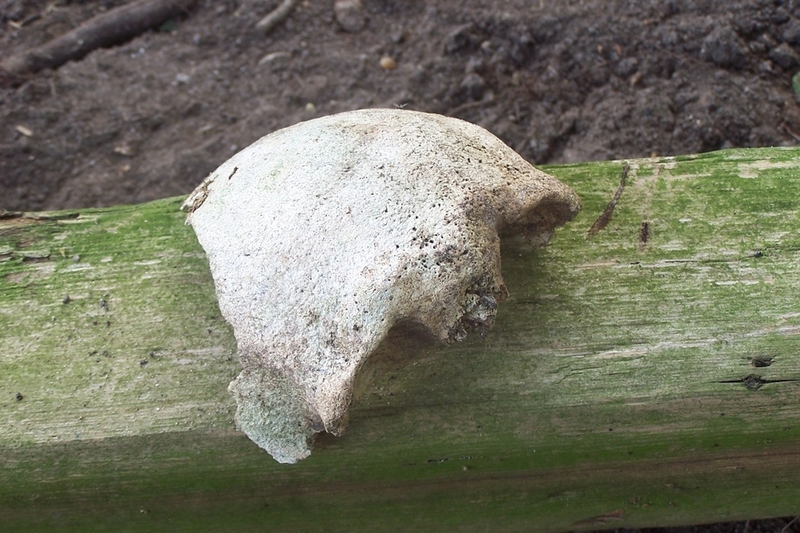 This find suggests human bones were used as well as whale and animal bones. 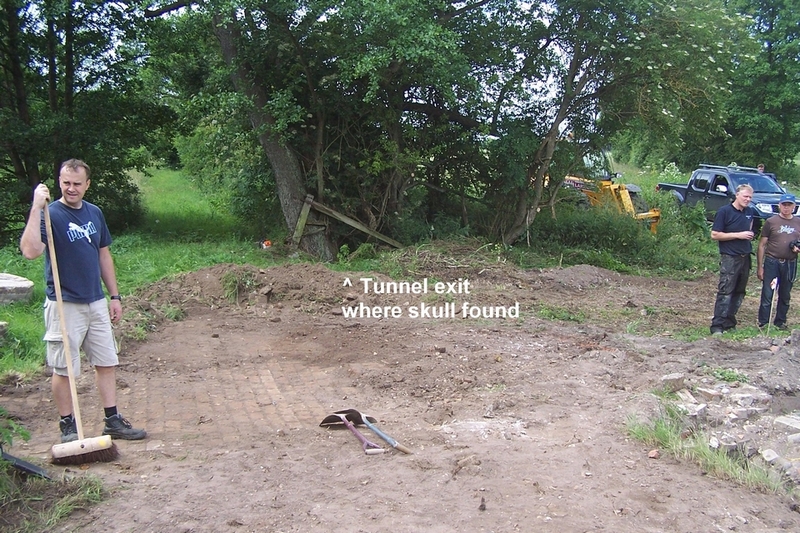 The skull bone was found on 27 June 2015 by Graeme Brown when digging out the down-river exit of the tunnel. 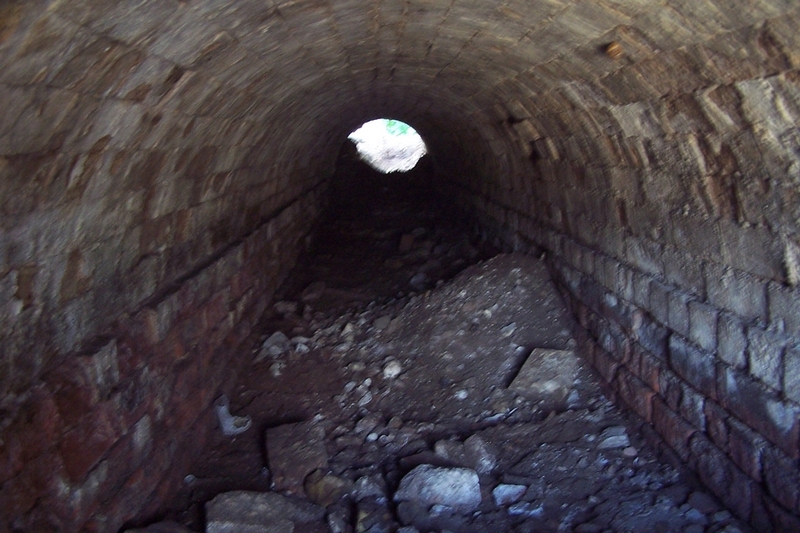 It was found near the top of the earth filling the tunnel exit, so excavation stopped in this area, as we needed to preserve the site for potential forensic investigation. 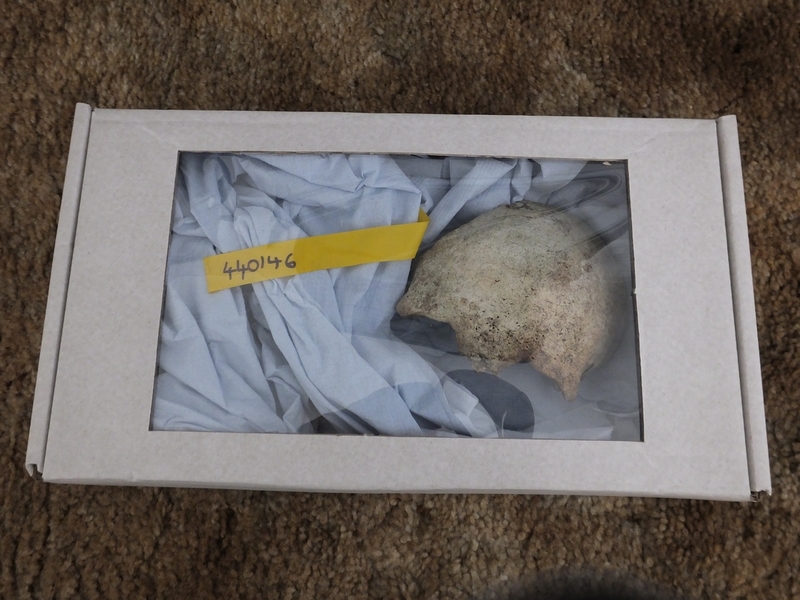 As the discovery was towards the end of the working day the Project Manager was informed of the find and he notified the Police who visited the site and took the skull bone away for examination. 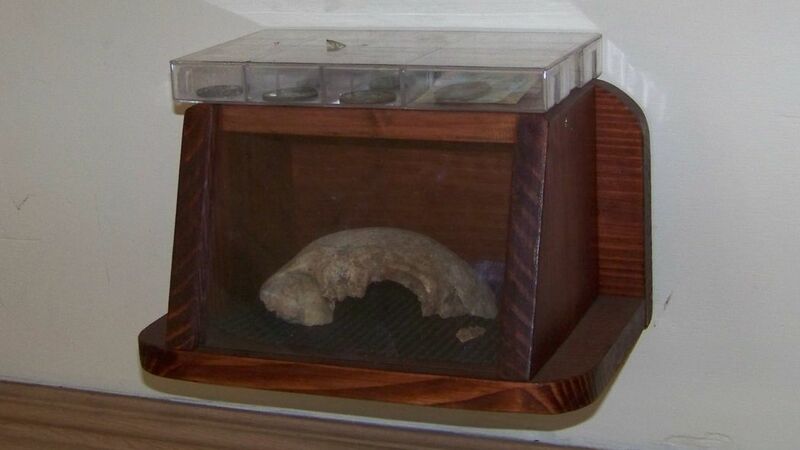 After around two weeks we were informed that tests carried out confirmed it was human and that it had been buried for over 70 years. 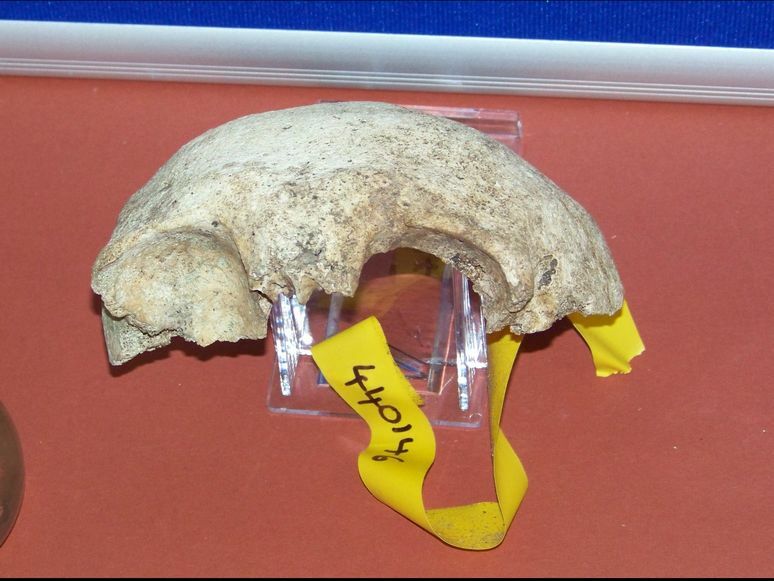 This meant the Police did not need to investigate, so we had the skull back and put it on display in the Heritage Centre. 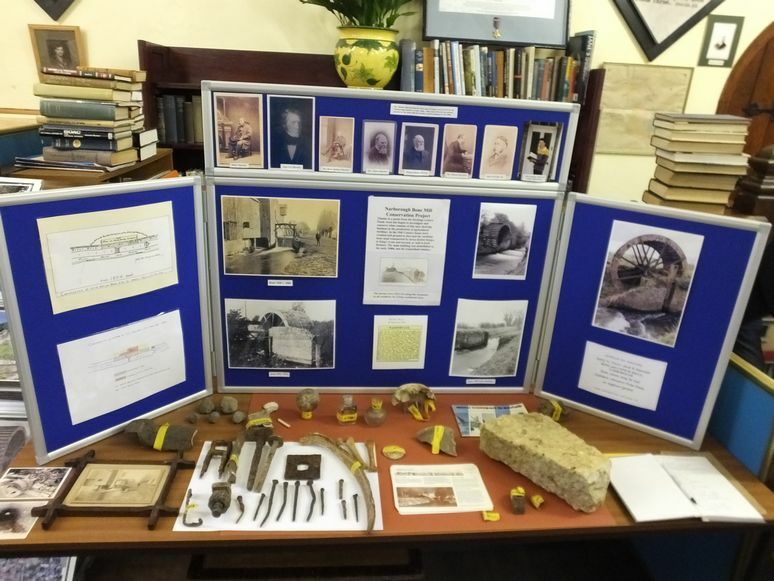 Dealing with human remains is always difficult, on one hand we are interested in all the finds and want to display and examine them, but we are very much aware that this was once a person and need to be respectful of that. 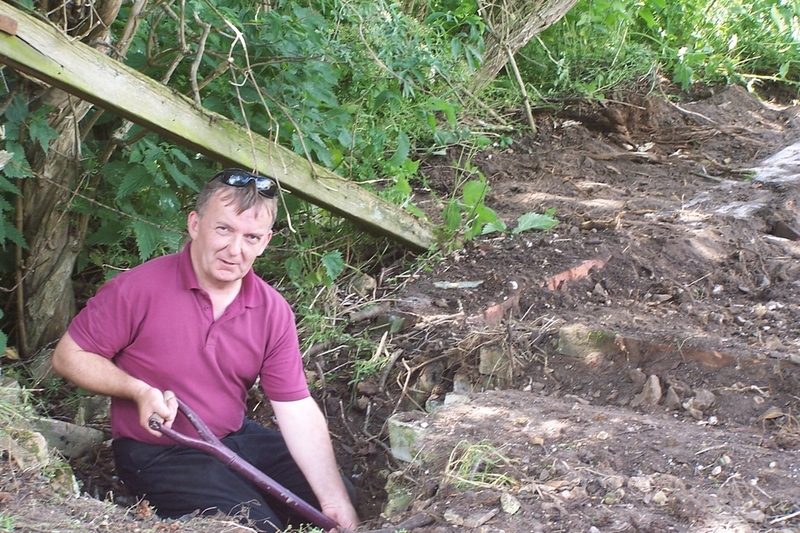 Before deciding what to do we considered such things as whether burial rites would have been performed at the time of their death, we felt this would have been the case, and whether the individual could be traced, which they could not. 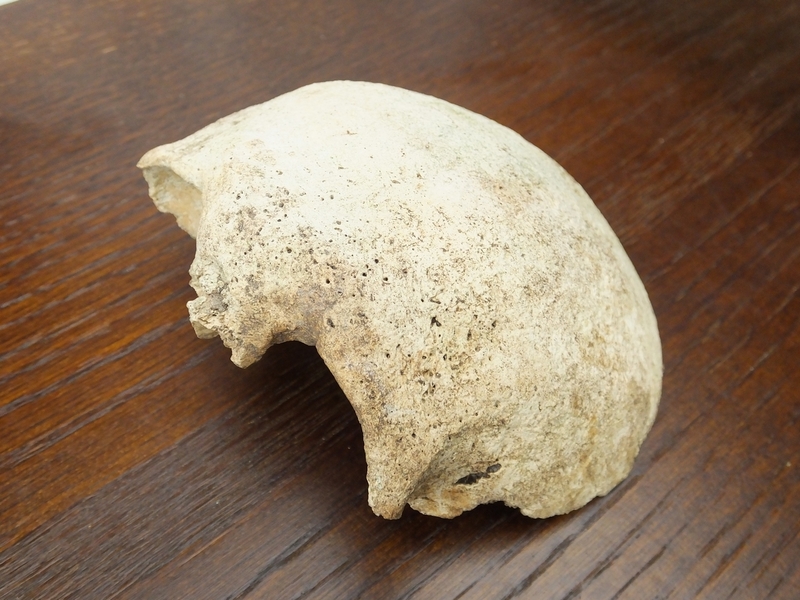 We sent the skull for Radiocarbon dating and the results were received on 12/02/16. 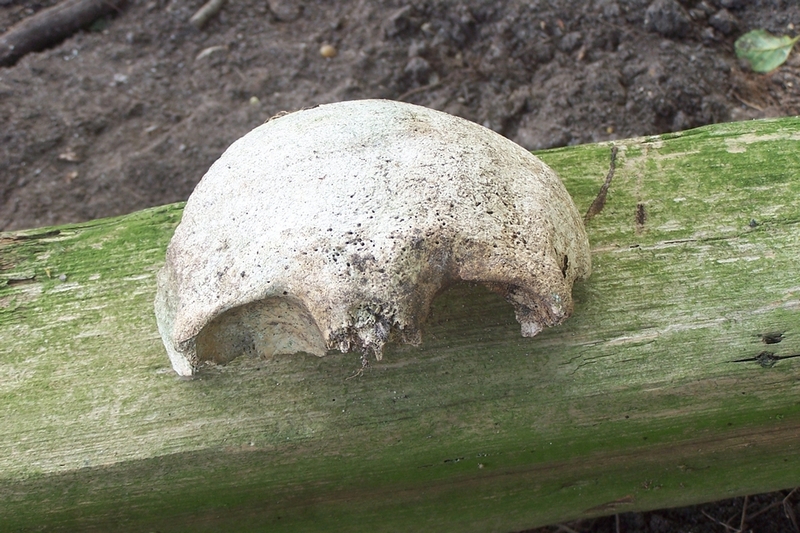 It shows the skull is 759 years old which pre-dates the mill by several centuries. 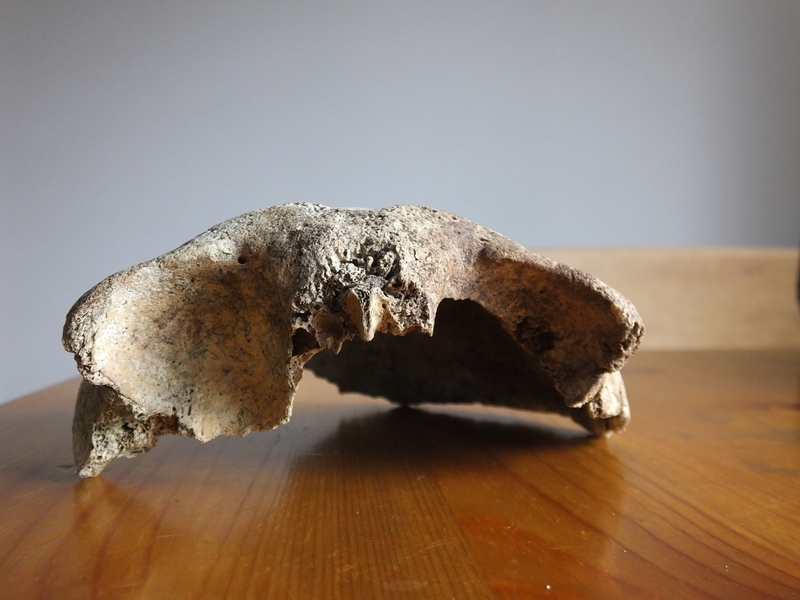 So this person would have lived in about 1257 when Henry lll or Edward l were on the throne, and Kings Lynn was known as Bishops Lynn. 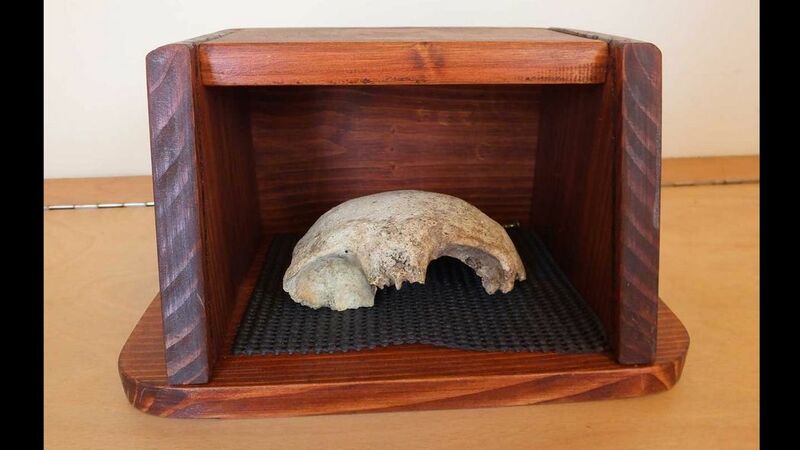 Dennis made a wooden display box for the skull with a Perspex cover which has been fitted to the wagon wall. 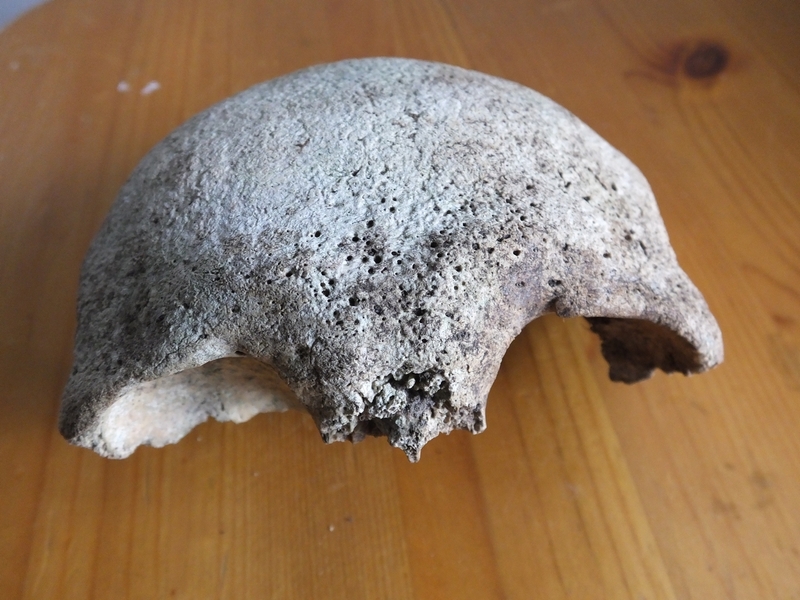 UPDATE 14/11/16; The skull has been subjected to isotope analysis which suggests an omnivore / carnivore diet and they may also have consumed some freshwater fish but eat mainly a C3 diet (rice, wheat, soybeans, potatoes).